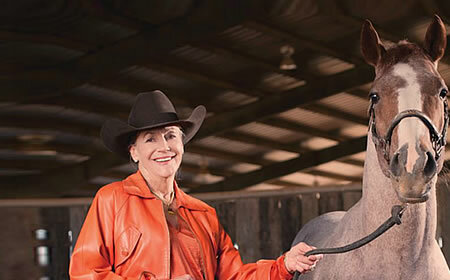 Alice Walton is the youngest daughter of Sam Walton, founder of Wal-Mart. She was raised in Bentonville, Arkansas—also the location of the first Wal-Mart, and where Wal-Mart corporate headquarters is located. In the past decade Walton has been on a shopping spree of American art, from colonial to contemporary. [ii] The spree was fueled by her philanthropic project, the Crystal Bridges Museum of American Art (she chose the name), also in Bentonville, a city with a population of 35,000. The cost for the project is unknown, but art blogger Lee Rosenbaum (CultureGrrl) investigated the museum’s 990s and revealed that between 2005 and 2010, the museum spent $508.57 million in “expenses for charitable activities”[iii]—an intentionally vague category. These activities most like are the acquisition of art but also the design and construction of the museum by architect Moshe Safdie. Still using the old/new logo on press releases. 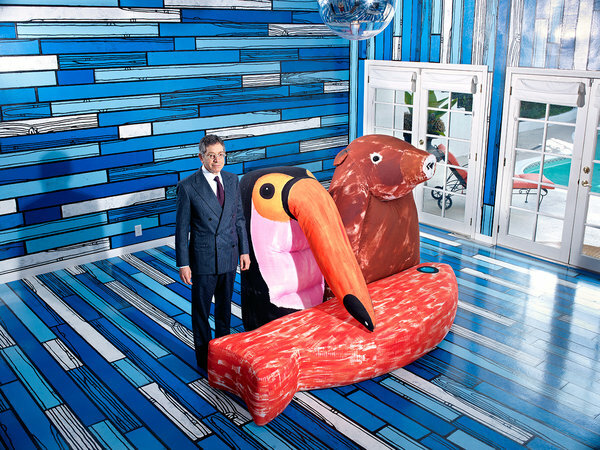 Jeffrey Deitch will bid adieu to the Museum of Contemporary Art and the Best Coast and head back to New York, where his genius is appreciated and where he is already curating a show. Poor Deitch, un-hip, philistine LA just didn’t get him. The biggest Deitch defender in the press has been Art in the Streets associate curator (non-MOCA curator) Aaron Rose: “We had something going in L.A., and it’s over now. Jeffrey’s resigning is really a statement about what the city is. All people in L.A. want is interior design. They want paintings to put over the couch.” Let’s leave generalizations about “people in L.A.” out of this Aaron Rose, and take a moment to remember that time New York Times Magazine did a spread on “Jeffrey’s Deitch’s Party House.” Let’s talk about that interior design Aaron Rose: Deitch may not have paintings over his couch, but he does have painted couches. Now that’s some interior design. When I began writing this update to my previous post, I thought a list of bullets with links to the LA Times would suffice, but then I realized a crazy amount of MOCA drama has occurred in just over a year. At least Vanity Fair journalists who love to write about the LA art scene have plenty of material. Eli B. and Tony V. celebrating 4-20 (and MOCA). It’s easy to make accusations about MOCA’s obsession with celebrity considering the museum’s galas. Following Francesco Vezzoli‘s Lady Gaga gala in 2009, the museum hosted a gala directed by Marina Abramovic in 2011. The Abramovic gala drew the ire of some for being exploitative of performers who served as live centerpieces… Debbie Harry also performed, and the whole shebang culminated in Harry and Abramovic hacking into cake-effigies of themselves… Last this year’s gala happened on 4-20, and was themed appropriately – Cheech Marin attended and guests wore Hawaiian leis for some reason. 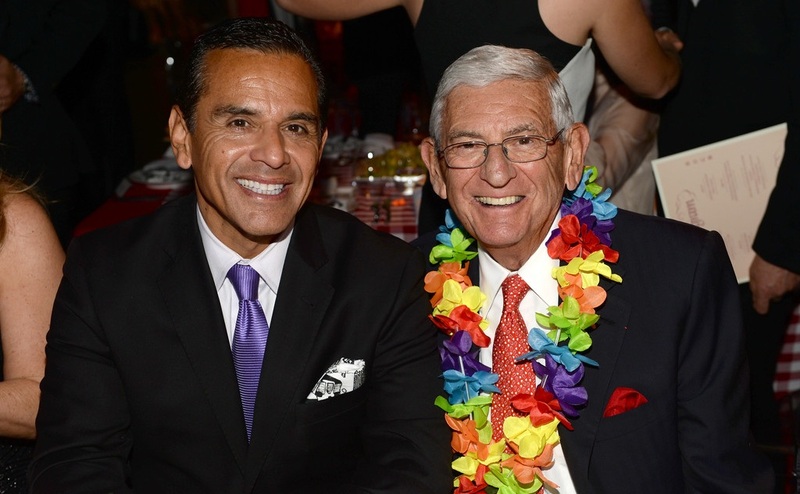 In fall 2008, a long-term beneficiary of Eli Broad’s largesse was in alarming financial trouble; the Museum of Contemporary Art (MOCA) could no longer hide its vertiginous financial mess. In an article titled “L.a.’s Moca In Deep Financial Trouble,” the Los Angeles Times reported MOCA had mismanaged its finances for more than a decade. [ii] The board of trustees had almost completely drained the $200 million endowment by regularly dipping into it to cover costs of expensive exhibitions and operating overhead; overspending an average $1 million a year since 2000. [iii] The public was shocked and enraged; consequently, there was a rapid exodus of board members. [iv] MOCA needed a hero with a rescue plan. LACMA’s Michael Govan proposed one rescue plan: a partnership in which MOCA would maintain its independence and retain at least one of its venues (the Geffen Contemporary in Little Tokyo) and in exchange MOCA would share its collection with LACMA. [v] Details of the offer were never fully disclosed, but it seemed to be Govan’s attempt to secure a large and well-regarded contemporary art collection for LACMA, and a way to reduce (if not eliminate) LACMA’s need of the Broad collections. Govan’s offer seemed to be the final straw in the already strained relationship between him and Broad. Broad openly chastised Govan in the Los Angeles Times for his proposed merger plan, and curiously quoted the film Jerry McGuire to demand, “Show me the money.”[vi] Broad had proposed his own rescue plan and was offering a $30 million lifeline to MOCA. Govan was meddling in his plans. 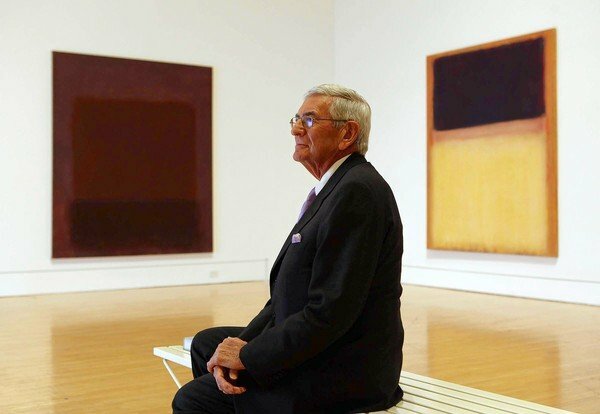 Eli Broad in the first museum he founded on Grand Avenue. In February 2008, the Broad Contemporary Art Museum (BCAM) opened at the Los Angeles County Museum of Art (LACMA). The Renzo Piano-designed BCAM is not an autonomous museum; it is one of several buildings on LACMA’s museum campus (the largest American art museum west of Chicago). The original LACMA was not exactly popular. Ed Ruscha’s 1968 vision of the museum. Chapter 1 (Part 1): One Eli Broad Too Many, Or Not Enough? 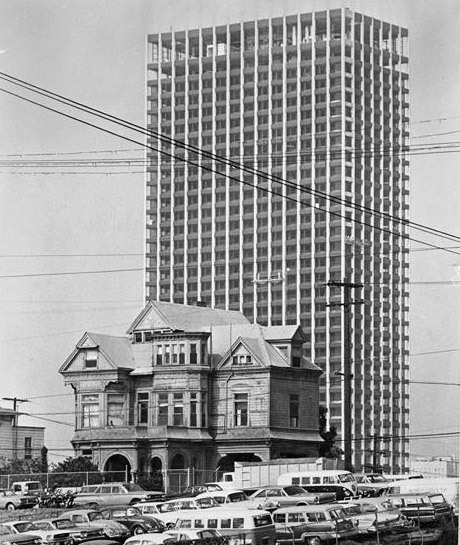 A vestigial Victorian on Bunker Hill in 1966. Photographs of Los Angeles from fifty years ago capture an unfamiliar city. In the 1960s, downtown’s Bunker Hill was still occupied by a row of quiet Victorian houses. Since then, the Victorians have been cleared away and the city has experienced a population boom often illustrated as a mushroom cloud-shaped diagram, and now boasts a population of 9.86 million. [ii] While established in many ways, Los Angeles’s philanthropic culture is still in its infancy. Despite ranking the second most populous city in America, the quantity of powerful philanthropists is insignificant at best. Those who are active give to educational, environmental, health, and political causes. 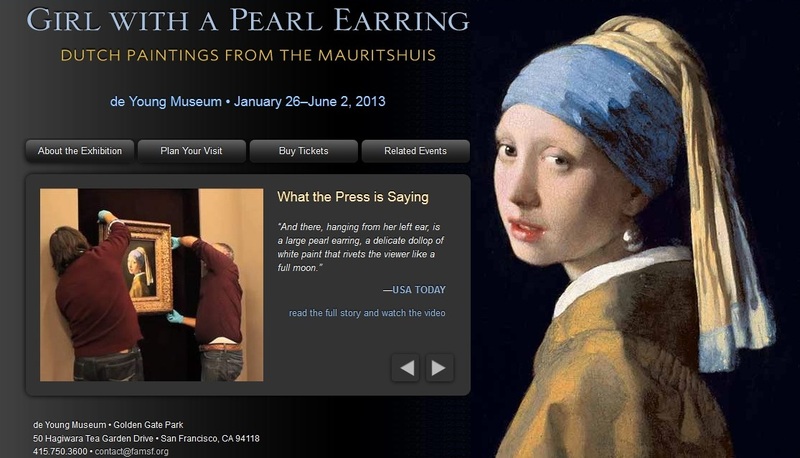 I have not seen this exhibition (because I have neither renewed my FAMSF membership, nor managed to convince the bitchy membership counter boys to let me in for free), so I’m just going to judge the exhibition website for the de Young’s latest touring celebrity, Girl With a Pearl Earring. Lazy eye, or unfortunate screengrab?